Miso Robotics is pioneering the development of robotic kitchen assistants designed to adapt to existing equipment and infrastructure and learn from traditional cooking techniques, assisting food service workers with the most predictable and repetitive tasks. These artificially-intelligent machines share data on a global scale and learn from each other, enabling them to master a variety of tasks and to gain a continuously-improving understanding of how to interact effectively with their environments. The perception problem—how can a machine using a variety of sensors meaningfully understand the world around it?—the manipulation problem—how can a machine interact with its environment to achieve a desired outcome?—and the decision problem―how can a machine act to navigate a variety of scheduling constraints while interacting safely with external agents?―lie at the core of the challenge of bringing autonomous machines into the kitchen. Recent advances in computer vision using machine learning techniques combined with the availability of high-precision sensors and growing compute capacity in shrinking form factors are enabling the development of technology to solve these problems. Ryan Sinnet is the CTO and Co-Founder of Miso Robotics. He has spent his career developing novel control methods for robotic systems and has been programming computers and embedded systems for more than 20 years. After studying Electrical Engineering at Caltech, Dr. Sinnet went on to study bipedal robotic walking in graduate school where he was awarded the NSF Graduate Research Fellowship. 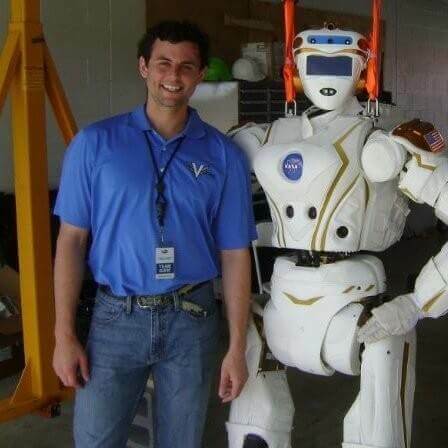 His research in walking has been extended by many other researchers and has been applied to many robots including NASA's Valkyrie robot. In his role at Miso Robotics, Dr. Sinnet has leveraged recent advances in artificial intelligence and formal control methods to create Flippy—Miso's first commercial product—which is able to assist cooks by cooking hamburger patties on commercial grills. Flippy is the first app on Miso's core platform and is currently serving the public at CaliBurger in Pasadena, CA.